Subway band are a music group and covers band. Hire great live music entertainment for your wedding band, corporate event band, Christmas or New Year's Eve party band. Subway are a four piece Witney, Oxfordshire based covers band established over 10 years ago. Simply hire a Band for New Year's Eve. To hear our music, see our track listings, look at how many gigs we do or where we are playing next, take a look at our pics of past events or see what people have said about us on our testimonials page then click on the titles below. To book the band simply email info@subwayband.co.uk or contact us, usually same day quote available. SUBWAY BAND ARE AVAILABLE TO PLAY AT YOUR WEDDING CALL NOW 01993 201327 or 07791 690439! 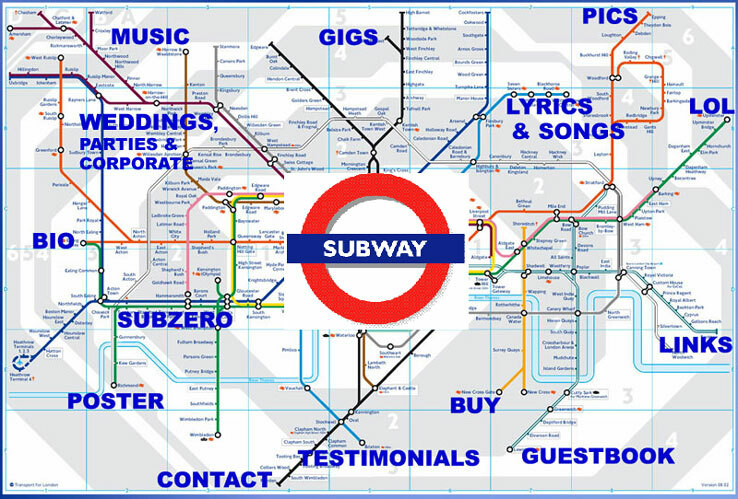 SUBWAY are Oxfordshire's best and busiest Wedding band, Function band, Party Band, & Coroporate Event covers band - for a reason! Book now!